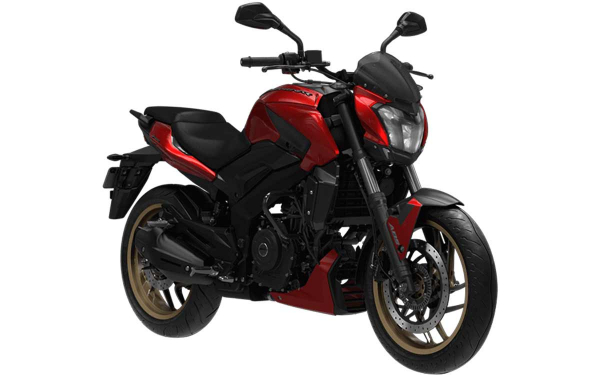 Bajaj has launched its 2019 Dominar 400 with a number of changes to make it better than before. Power, agility, comfort and technology all are merged to make this sophisticated beast truly unbeatable. Baja has given 50 unique features and a powerful stance to make it a special motorcycle. Best in class front disc size, backlit switches to elevate the switchgear appeal in the night, first in bikes Full LED headlamp cluster, engine guard, fist in bikes diamond cut alloy wheels and fist in class split speedo display with first in class reverse LCD speedo are given to make it the combination of naked and cruiser. Automatic headlamps and the LED blinkers add the premium look and improve the visibility as well. Twin LED rear lights makes its identifiable even in low visibility. The headlamps can be operated in four different modes; position lamp, automatic headlamp on, low beam and high beam, according to the different riding conditions. Engine guard protects the engine from unwanted hits and redirects air to keep it cool. 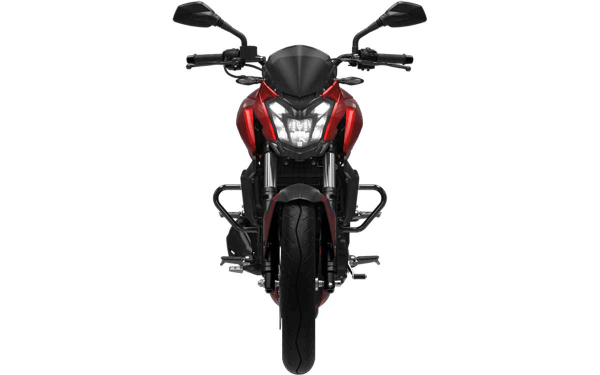 The engine’s all black finish with magnesium gold gives it sporty look. Wide and well-padded German seat enhance the comfort level. 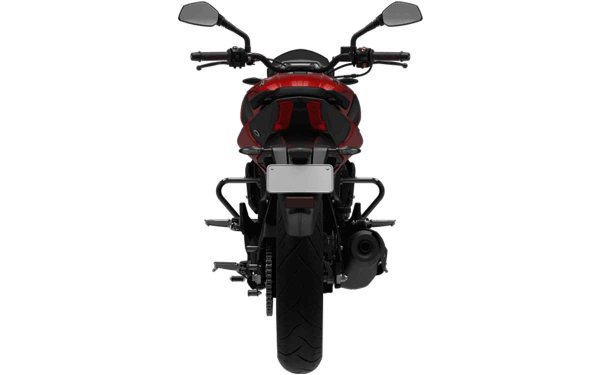 Moderate seat height for the pillion seat provides a relaxed posture. Soft touch water and intense sunlight resistant EPDM handle bar improves your riding condition. 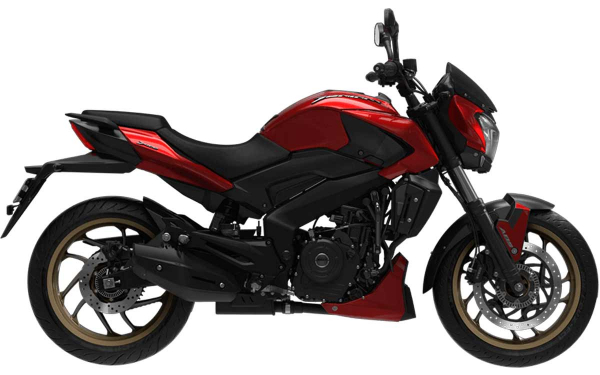 Mono shock rear suspension and dual channel ABS ensure stability and security on your long cruising. 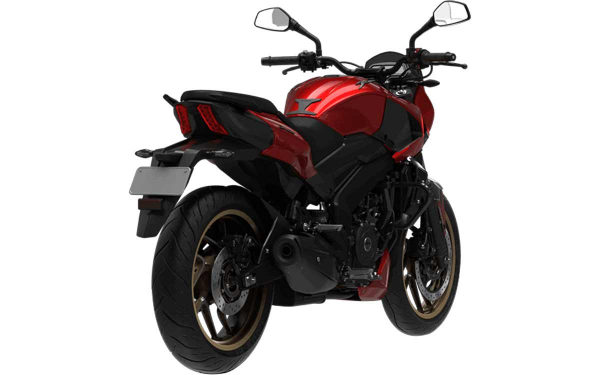 The liquid cooled 373 cc engine is capable of delivering un-matching power and torque and it is paired with a six speed transmission. It reaches 0 to 100 in 7.1 seconds. A graphic theme inspired style is complemented with exciting body colors. The twin barrel exhaust produces throaty exhaust note. The 373.3 cc single cylinder, 4 stroke, DOHC, 4 valve liquid cooled triple spark fuel injected engine produces maximum power of 40PS at 8650rpm and maximum torque of 35Nm at 7000rpm. The slipper clutch is mated to 6 speed transmission. Beam type perimeter frame, 43mm USD fork telescopic front suspension and multi-step adjustable mono shock with Nitrox rear suspension ensure stability and comfort on your rides. Radial tubeless tyres have measurements 110/70-17 in front and 150/60-17 in rear. 320mm disc brake in front and 230mm disc brake in rear ensure safety and it is enhanced with dual channel ABS.